Canada is renowned for having pockets of innovation across the country. We are happy to highlight some leading and promising practices in seniors care in Canada and internationally. These promising practices, highlighted in the Policy Framework to Guide a National Seniors Strategy for Canada, are programs that should be reviewed and adopted in other regions as needed. The promising practices on this page are organized by key areas across the continuum of care. Click below to explore each. The Healthy Cities/Healthy Communities initiative is an international public health approach to land use and urban design intended to improve the health of communities’ older citizens. The initiative encourages communities to create age-friendly physical and social urban environments, which better support seniors in making choices that enhance their health and well-being — and allow them to participate in their communities, contributing their skills, knowledge and experience. After consulting with older citizens and their caregivers and service providers in 33 cities and 22 countries, the World Health Organization created a resource called the Global Age-Friendly Cities Guide for any government, organization or individual interested in identifying and improving the age-friendly status of a city. The Ottawa Public Health Community Connect Program links socially isolated or at-risk older adults with services and supports to ensure safety and independence in their home. It provides training for people who are often in contact with seniors, supplying them with information on signs older adults may be at risk of social isolation. Get Up and Go! is a collaboration between the Fraser Health Falls and Injury Prevention Program and OSTEOFIT (BC Women’s Hospital & Health Centre’s Osteoporosis Program). It provides an entry-level exercise program for seniors with balance and mobility impairment who would otherwise be unable to attend a community-based exercise class. It is a safe exercise program specially designed to improve strength, balance and coordination as well as functional ability, independence and quality of life. Lack of adequate transportation can be a barrier to social inclusion and access to services for seniors. Many cities offer free or subsidized public transport for older people. One example is the North Delta Seniors Bus, a free transportation service offering easy access to local medical services, recreation centres, shopping and community amenities. It is funded by an Age-friendly Grant, offered by a partnership between the Government of British Columbia and the Union of British Columbia Municipalities. The Royal Canadian Legion has produced a guide called “Seniors Support Program: The Home Away Initiative” to help Legion branches develop programs for seniors either independently or in collaboration with other branches or organizations. The guide suggests a wide variety of programs related to nutrition, health, security, safety, independent living and leisure activities and includes information on how to set up a program, obtain funding, develop communications and carry out an evaluation. The McMaster Optimal Aging Portal is an information hub providing scientific evidence about healthy aging. There is content for citizens as well as clinical, public health and policy professionals. Eye Health Council of Ontario (EHCO) was established in 2010 with the support of the Ontario Ministry of Health and Long-Term Care to provide a forum for interprofessional collaboration in the delivery of evidence-based eye care. EHCO includes representation from ophthalmology, optometry, family practice, their regulatory bodies, their professional associations, the academic communities and representatives from government. Patient’s Medical Home is a new vision for the future of family medical practices in Canada developed by the College of Family Physicians of Canada. It is built around 10 pillars that emphasize patient-centred and team-based health care. Health care providers are connected to one another and to social services, with appropriate distribution of resources. Winnipeg’s geriatric program assessment teams were launched in 1999. Specially trained staff visit seniors in their homes to check on their health and well-being. Following an assessment, a clinician can file a report recommending “support from groups such as home care, day hospital or Meals on Wheels.” The program has reduced costs and improved quality of care, partly by lowering rates of medication overuse, according to Accreditation Canada. Winnipeg introduced PRIME in 2009. It’s for seniors thought to need weekly health monitoring at home from a case manager. After-hours support, education, exercise and therapy, counselling and personal care are also provided through the program. Some of PRIME’s extended services are only available to participants whose income is below a certain threshold. PRIME is meant to keep seniors out of hospitals and other expensive facilities. Referrals to the program are accepted from family physicians, other health care professionals, the home care program and hospitals. The bestPATH program is offered through Health Quality Ontario. It includes evidence-based tools and recommendations to assist health care providers with integrated chronic disease management. The Taber Clinic in Alberta identified the need for primary care, home care, public health and acute care to work together. It built a model with integrated multidisciplinary teams, common navigational systems and a mix of physician payment methods. Ontario’s primary care councils are formal networks of a community’s physicians, health care providers and institutions, which meet regularly with health system administrators and planners, hospitals, community care access centres, local health integration networks, public health and others to seek solutions to service issues. These councils are active in many areas and developing in others. Over time they are expected to provide valuable insight and expertise on improving service integration and delivery at the community level. Detection, diagnosis, treatment and continuity of care: management of Alzheimer’s disease and related disorders in Family Medicine Groups in Quebec. This program’s objective is to provide people with Alzheimer’s disease and their caregivers access to personalized, coordinated assessment and treatment services. It focuses on enabling primary care providers to detect, diagnose and treat Alzheimer’s disease and related disorders, with support from specialty memory-clinic and psychogeriatric teams. The plan, launched in 2009, is being introduced in 40 family medicine groups, where primary care physicians and nurses (or social workers) work in partnership with the patient and family to provide personalized and proactive care. BreatheWELL at Home, a short-term program in British Columbia’s Fraser Health district is a partnership of home health, acute, residential and primary care, designed to let clients with chronic obstructive pulmonary disease gain more control over their disease and reduce their need for acute care. Clients set their own goals for managing their symptoms and acute episodes, while receiving advanced clinical nursing support, coaching and education through home visits and telehealth. In the Home First Program provincial governments in Nova Scotia, Ontario and New Brunswick provide support for both caregivers and patients so they can return home after a hospitalization, rather than moving to an institution. The TAPESTRY program (Teams Advancing Patient Experiences: Strengthening Quality) is a project funded by Health Canada to help older adults in a family medicine practice in Hamilton stay healthy at home, functioning independently, for as long as possible. Home Share Newfoundland is a program that pairs Memorial University students with residents in the community who are 50 years of age and older. The students provide home maintenance or other services to older homeowners and in exchange the students pay a reduced rent. The program helps seniors maintain their independence and stay in their homes while providing a safe and affordable place for students to complete their studies. The United Way’s Better at Home program helps seniors with simple day-to-day tasks so that they can continue to live independently in their own homes and remain connected to their communities. The Government of British Columbia funds the program, the United Way of the Lower Mainland manages it and local non-profit organizations provide the services. In Prince Edward Island, the Enhanced Home Care for Frail Seniors Program was piloted in 2012 as a partnership between Queens Home Care and the Queen Elizabeth Hospital. Thirty-six clients were admitted to the program during the one-year pilot. At a system level, the pilot resulted in 2,064 fewer days of long-term care and 1,876 fewer days of community care. Patients in the pilot were able to stay at home longer. The program is continuing. Health Links is an initiative of the Ontario government to assist patients with complex health and social needs. 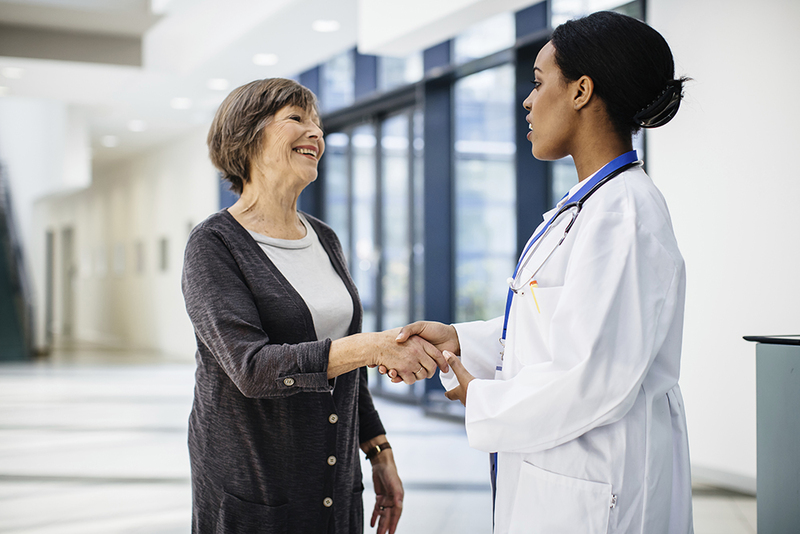 Health Links encourages greater collaboration between existing local health care providers, including family care providers, specialists, hospitals, long-term care, home care and other community supports. By bringing local health care providers together as a team, Health Links will help family doctors to connect patients more quickly with needed services. For patients being discharged from hospital, the Health Link will allow for faster follow-up and referral to services like home care, helping reduce the likelihood of re-admission to hospital. All Health Links have a coordinating partner such as a Family Health Team, or Community Care Access Centre. One of the goals is to reduce repeat emergency department visits for high-risk patients. The Champlain Geriatric Emergency Management Plus(GEM Plus) Program is an evidence-based partnership, where geriatric nurses in nine emergency departments across eastern Ontario work with an integrated partnership of over 20 geriatric and community-service organizations. The goal of the program is early identification of geriatric syndromes in high-risk seniors, who are not being admitted to hospital, so they can be given appropriate referrals for geriatric and community services, which will help prevent return emergency visits and hospital admissions. Paramedic Intervention. In Halifax, specialized geriatric paramedics are experienced in dealing with acute-care issues for seniors. The paramedics go to long-term care facilities and patients’ homes and assess whether residents need to be taken to emergency, rather than automatically taking them there. Toronto’s Emergency Medical Services has a similar program that identifies high-need patients who are frequent users of emergency services; paramedics try to connect them with family physicians and other services, so they can remain healthy and out of hospital. In Calgary, the OPTIC EXACT program avoids inappropriate transfers from long-term care homes to emergency departments. Sinai Health System in Toronto is a recent amalgamation of Mount Sinai Hospital, a large academic health centre, with Bridgepoint Health, a complex continuing care hospital and Circle of Care, a home care organization. The system is focused on providing comprehensive care to patients (including seniors) with chronic health conditions. The Integrated Comprehensive Care Project of St. Joseph’s Health System in Hamilton, Ontario, integrates hospital and community care services for patients. It links seniors to housing supports, works with marginalized populations and addresses clients’ spiritual needs. Winnipeg is piloting a hospital health team providing 60-day intensive case management for users of emergency departments to keep them out of hospitals and help them transition to care programs in the community. Care by Design is improving care for nursing home residents in Nova Scotia’s Capital Health Region. Residents are the centre of a collaborative, on-site health care team that includes physicians, facility medical directors, nurses and paramedics. This allows them to be cared for in the comfort of the place they call home, instead of being transferred to a hospital. Behavioural Supports Ontario encourages non-pharmaceutical interventions to address aggressive behaviour by residents of long-term care who have cognitive impairments. More than 600 front-line staff have been hired across the province to work on the program, and more than 300 long-term-care homes have increased in-house behavioural supports. An estimated 14,000 new and existing front-line staff have received specialized training in techniques and approaches applicable to behavioural supports. The facility consists of two cottages, each having 14 private rooms situated around a central core consisting of a dining room, kitchen and living room area. Ontario Appropriate Prescribing in Long-Term Care Homes is a pilot project conducted by a joint working group of the Ontario Medical Association and the Ontario Ministry of Health and Long-Term Care, which started in August 2014. The goal of the project, which is being conducted in 30 facilities, is to reduce the use of antipsychotics, benzodiazepines and opiates to control violent behaviour by residents. The pilot is using academic detailing, audit and feedback and educational interventions to change prescribing behaviour. Two clinical networks in Alberta, Seniors Health, and Addiction and Mental Health, are conducting a project to promote appropriate use of dementia. In a pilot project at a long-term care home in Prince Edward Island, two dementia units are being developed to use a variety of non-pharmacological approaches to managing confused patients. The approaches include the Montessori method (engaging patients’ senses to reconnect them to the world around them), and setting up diversional activity zones. The PATH program, offered through the Palliative and Therapeutic Harmonization (PATH) Clinic in Nova Scotia, assesses older adults and consults with them and their families so they understand the true state of their health and the outlook for the future. It creates time and space for frail, older people to make complex health care decisions. The Improving End of Life Care in First Nations Communities project (Lakehead University, Ontario) offers advance care planning for First Nations communities. It was inclusively created by First Nations community members. The “Speak Up” program encourages Canadians to have the conversation around end-of-life care. The Way Forward program (Alberta, Ontario and New Brunswick) focuses on an integrated palliative approach to care. Hospice for the Homeless (Ottawa) is a partnership between the Ottawa Mission and Ottawa Inner City Health to provide palliative care to terminally ill people who are homeless or street involved. Integrated Palliative Care Strategy from Nova Scotia includes the use of advance care paramedics to support patients at home. The National Gold Standards Framework Centre in End of Life Care in the United Kingdom is a national training and coordinating centre that helps generalist front-line staff provide gold-standard care for people nearing the end of life. The centre improves the quality, coordination and organization of care, leading to better patient outcomes, in line with their needs and preferences. It is also more cost effective because there is less hospitalization.